Mark Waid (Kingdom Come, Daredevil, Irredeemable) has recently announced a free online college-level course called “Gender Through Comics” which will feature live weekly interviews from some of the comic industry’s top creators! 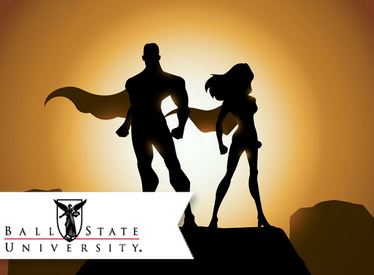 The course aims to examine “how comic books can be used to explore questions of gender identity, stereotypes, and roles.” Taught by Christina Blanch of Ball State, this Massive Open Online Course (MOOC) is open to anyone with an internet connection, email address, and interest in gender representation in comics. What’s more, the course’s speaker list reads like a who’s who of comic creators and includes Brian K. Vaughan (Y: The Last Man, Saga), Brain Michael Bendis (New Avengers, Ultimate Spider-Man), Gail Simone (Batgirl, Secret Six), Terry Moore (Strangers in Paradise), Matt Fraction (The Invincible Iron Man, Uncanny X-Men), Jonathan Hickman (Fantastic Four, Avengers), Jason Aaron (Wolverine and the X-Men, Thor: God of Thunder), Dan Slott (The Amazing Spider-Man, Arkham Asylum: Living Hell), Scott Snyder (Batman, American Vampire), and editors Steve Wacker and Sana Amanat (Hawkeye, Spider-Man, Captain Marvel). The course will be held April 2 though May 10, 2013 and you can enroll in the class now. For more information, check out this video narrated by none other than Stan “The Man” Lee. Comment below if you’re signing up! I’d love to sign up, please! Hey, Arden. Thanks for stopping by. You can sign up at https://www.canvas.net/courses/gender-through-comic-books.